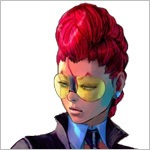 Crimson Viper is her agent name. Her real name is Maya. Her daughter's name is Lauren.